Striking mother and child floor standard lamp, with a heavy antique brass finish base, two separate dimmer switches and a twisted upper half holding a large opal glass uplighter dish. Fitted with a flexible, adjustable reading lamp that can be directed just where you need it. 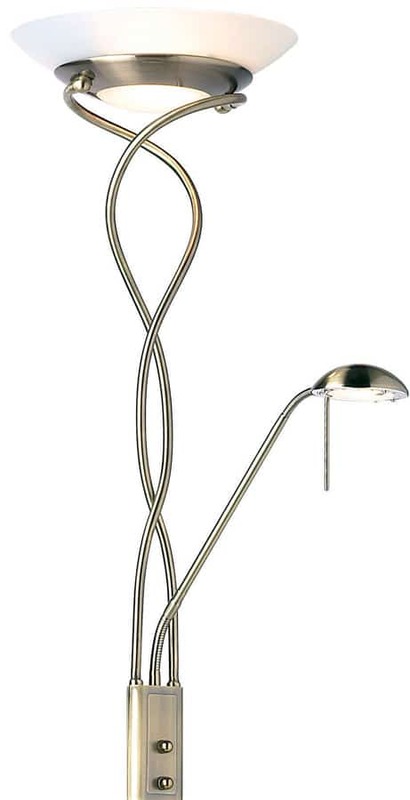 The Monaco mother and child floor lamp with a twisted stem and opal glass shade. Supplied with lamps.